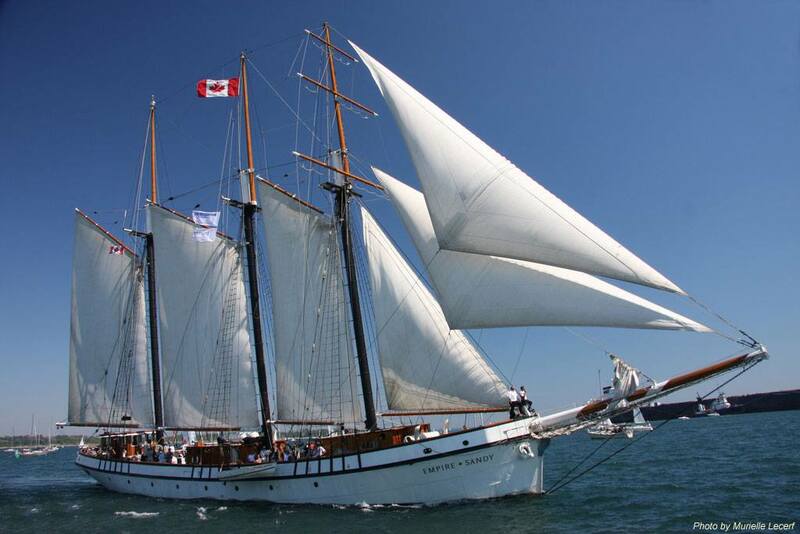 At 200 feet overall and 11,000 square feet of sail, the Empire Sandy majestically cruises Toronto Harbour and Lake Ontario, offering passengers the unique experience of sailing aboard an authentic Tall Ship while enjoying a dinner cruise or other event. Sails are hoisted as the ship departs and the wind is harnessed to propel the 740 ton schooner along Toronto’s scenic waterfront. Wide expansive decks and spacious wood paneled lounges set the tone for a comfortable yet exhilarating experience. The Empire Sandy is Transport Canada certified to carry up to 275 passengers and can comfortably seat 160 guests below decks. There is nothing in the world that compares with standing on the deck of a Tall Ship, a warm breeze on your face under a canopy of stars and billowing white canvas. Copyright © Nautical Adventures. All rights reserved. Designed by: Christopher Chong Productions Inc.